Misdemeanor 1st or 2nd or felony 3rd or 4th, your life has been turned upside down by arrest. First, you need a bond. If you use a bondsman, you will have to put up 12% of the bond. This is non-returnable. By hiring an attorney before posting a bond, an attorney may be able to get the bond reduced, get you released on your own recognizance, or help with a property bond. A property bond is like a refundable mortgage to the Parish. If the person arrested shows up for court, the bond is released when the case is over with $0 out-of-pocket expense. As a condition of your bond, you will be drug tested. An attorney can help you protect yourself from false positives. A condition of your bond will be to not leave Louisiana. If your job or school requires travel, you will need an attorney to get this restriction lifted or changed. First you have to worry about a Department o f Public Safety (DPS) hearing to keep your driver’s license. The hearing must be requested by your attorney within 15 days of arrest. If you receive an unfavorable outcome from the DPS hearing, your attorney can appeal to a District Court Judge. Your case will be screened by a senior assistant district attorney, who will make the decision about which charges will be accepted or refused, whether the case will be dismissed, referred to diversion, or sent to trial. Next comes arraignment. For a felony, the case will be assigned to a division for trial. The assistant district attorney in that division may make a plea offer. There may be several continuances of trial also because there are cases set for trial ahead of yours. But delay is good for your defense in many ways, evidence may be lost, witnesses may lose interest or move, law enforcement may retire or move. Trial will be with a judge if it’s a misdemeanor. For a felony, there is the option of a jury. If the outcome is unfavorable at trial, sentencing will follow. An appeal can be taken following trial. Expungement may be available if a plea offer is accepted and is available if the case is dismissed, diversion is offered and completed or if you receive a not guilty verdict. 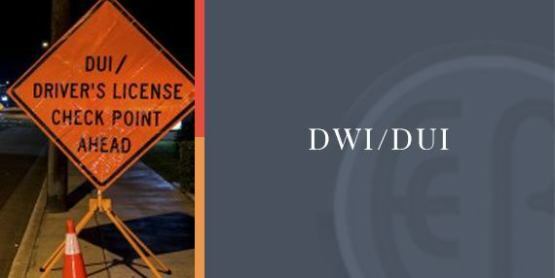 The attorneys at Ellen Cronin Badeaux, LLC, at 985-892-1955, have 23 years of experience representing people arrested for DWI/DUI in the cities of Amite, Baton Rouge, Bogalusa, Chalmette, Clinton, Covington, Denham Springs, Donaldsonville, Franklinton, Gonzales, Greensburg, Gretna, Hammond, Kenner, Livingston, Madisonville, Mandeville, Metairie, New Orleans, St. Francisville and Slidell in Ascension, East Baton Rouge, East Feliciana, Jefferson, Livingston, Orleans, St. Bernard, St. Helena, St. Tammany, Tangipahoa, West Feliciana and Washington Parishes.